We've got a new stage thanks to Wolf's! Those who visited our World Music Day in past years could have noticed that our stage used to be quite worn and rickety. Not anymore! We're hugely grateful to Wolf's & Selco Beckton branch for donating the materials and doing all the building work for free. 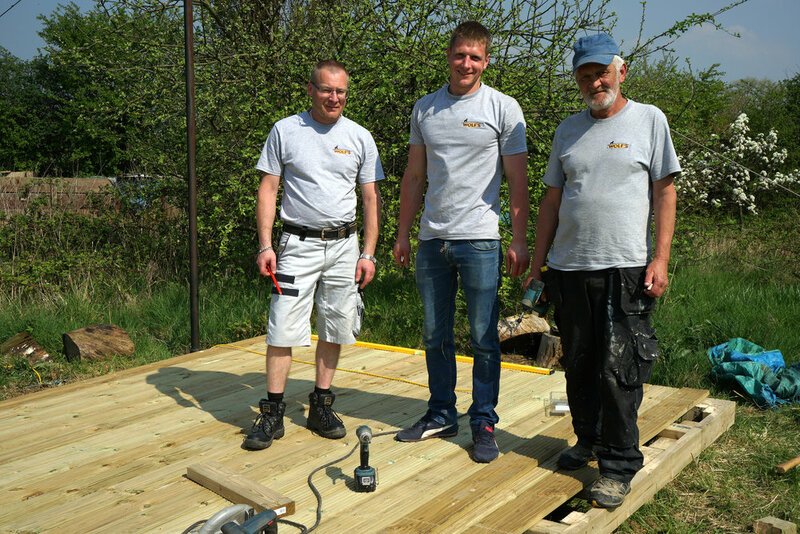 Three fantastic builders - Eugenijus Jankauskas, Rolandas Liaudanskas and Mindaugas Asmontas - came over to our Garden and very efficiently put up a new stage. This will make a real difference to our celebration events and fundraising. We're looking forward to seeing it in action at World Music Day on 24 June.